In February, I managed the 2011 Bike & Walk Summit; securing the venue, catering and technology. 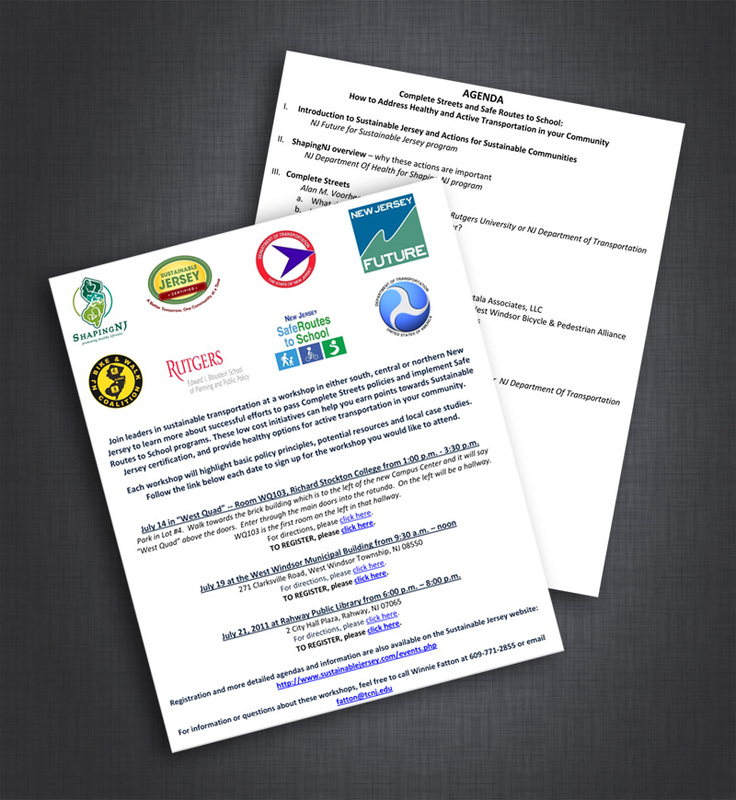 Ideal Image Consulting created conference posters and materials to ensure a successful event. 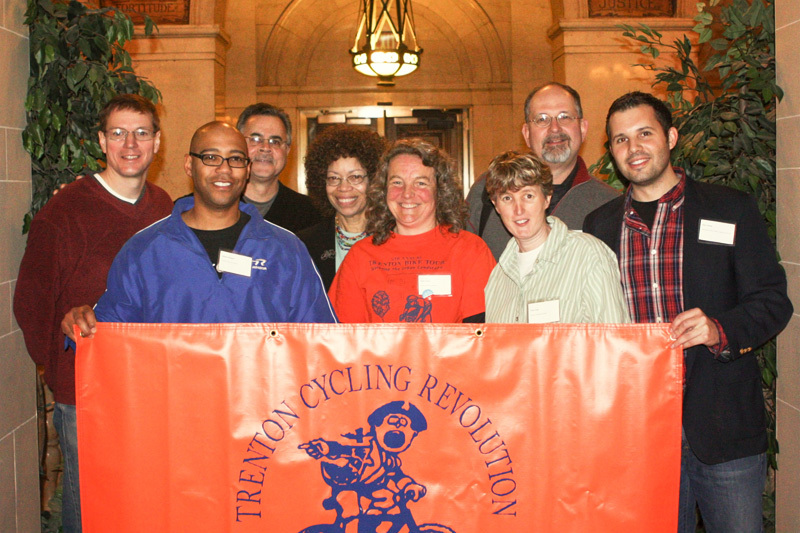 The 2011 NJ Bike & Walk Summit at the Trenton Masonic Temple attracted more than 100 attendees. 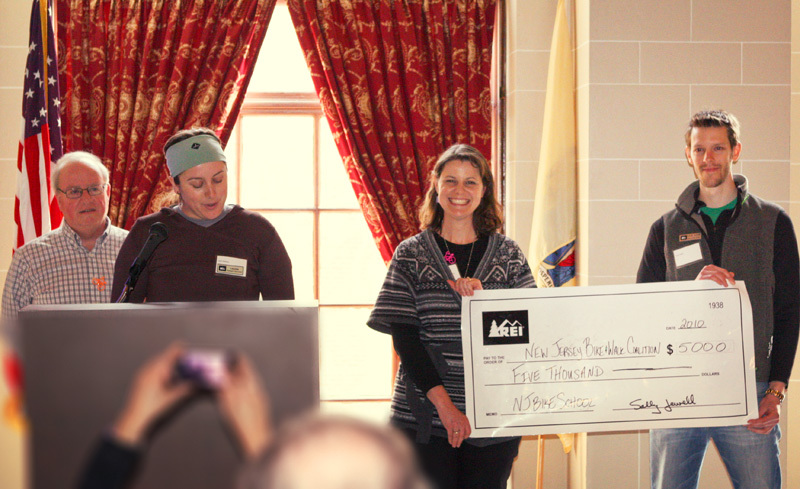 REI presented NJ Bike & Walk Coalition with $5,000 for bicycle education. Matt Rawls, Linda Rapacki, Andy Besold and a fellow bicycle enthusiast ready for the post-conference optional bike ride. 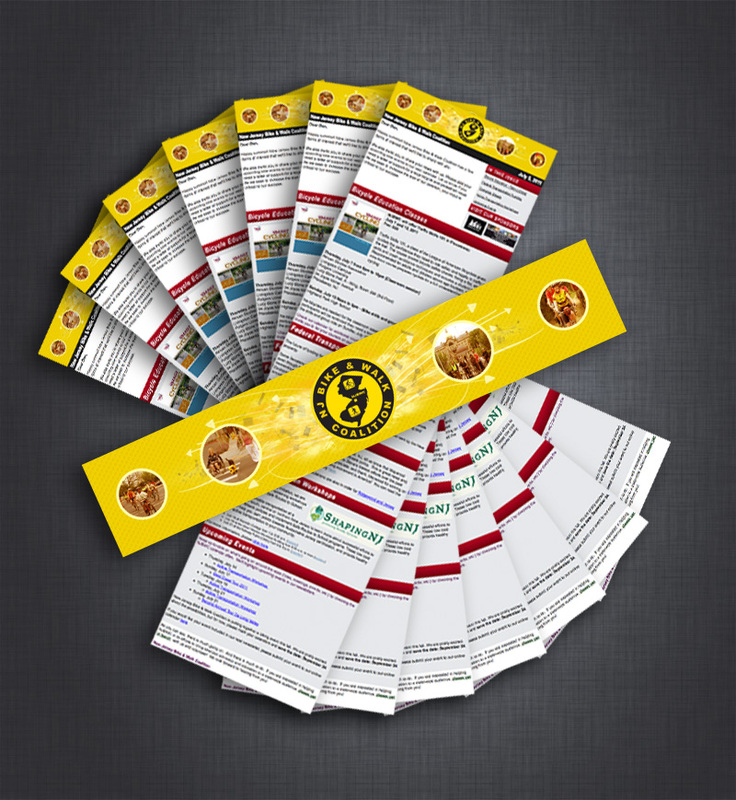 Creating an inexpensive handout to showcase the organization at events and meetings was another initial task. Working with the Board, Ideal Image Consulting drafted, edited and distributed 2,000 post cards. 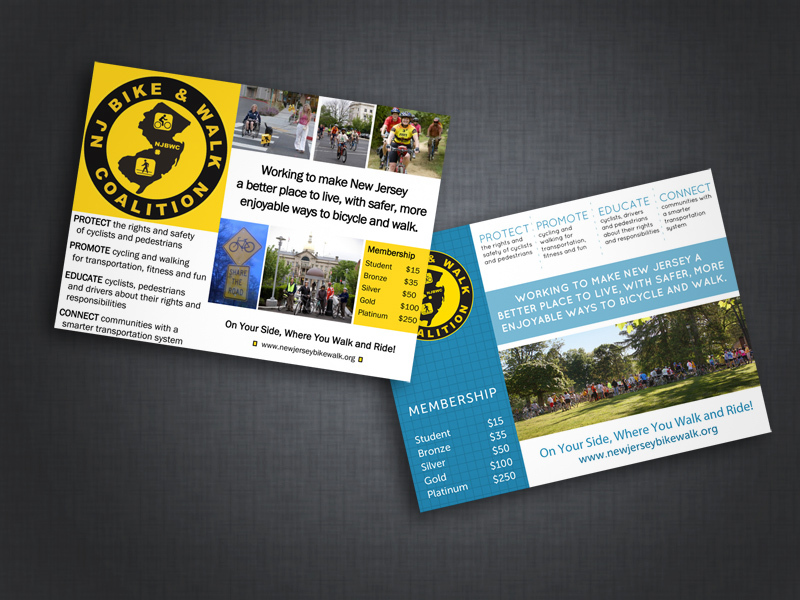 As a new organization, the New Jersey Bike & Walk Coalition needed a comprehensive database of potential partners, sponsors and competitors. Ideal Image Consulting conducted a survey of the regional transportation landscape and offered recommendations for partnership. 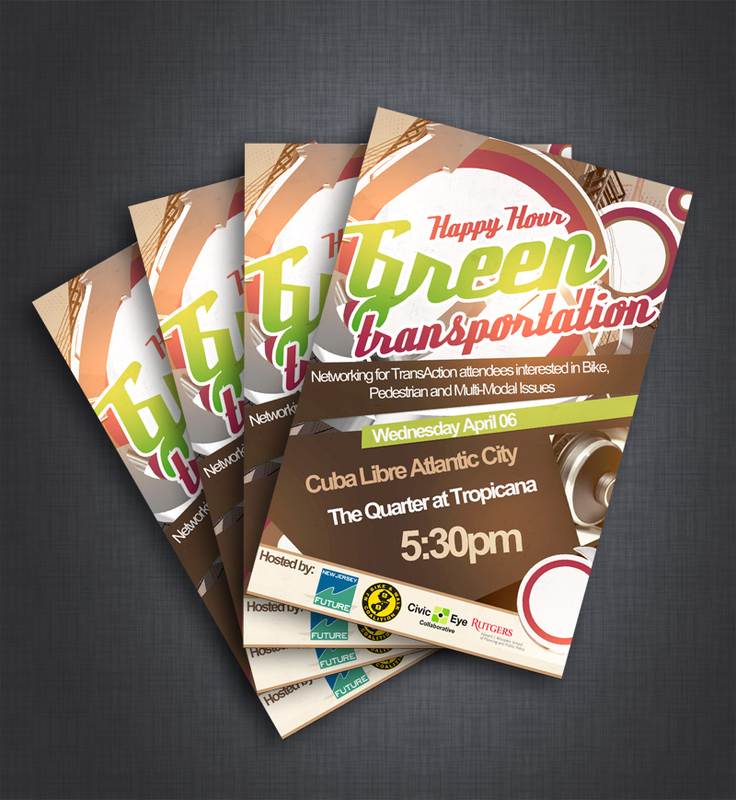 The coalition subsequently helped organize a green transportation happy hour at the TransAction conference in Atlantic City. Ideal Image Consulting designed an invitation that attracted more than 50 conference attendees. 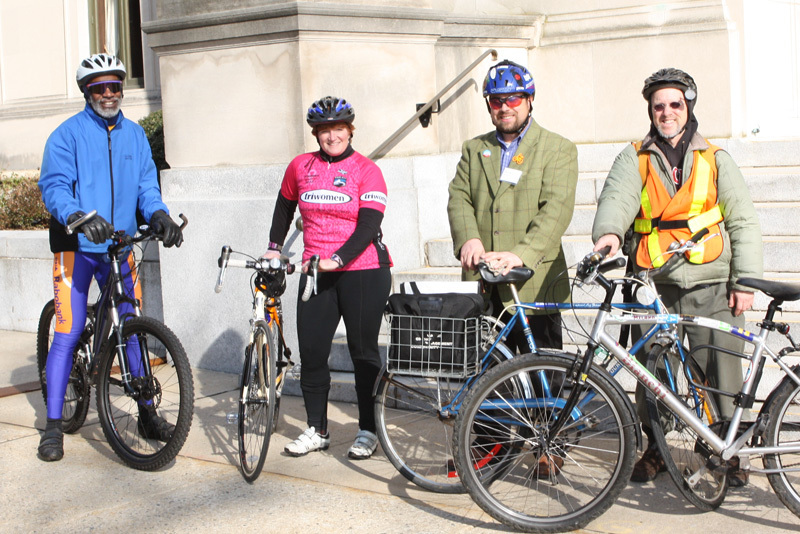 In March, New Jersey Bike & Walk Coalition signed on as a partner in the Shaping New Jersey initiative and co-promoted three summer workshops on active transportation in New Jersey. To celebrate National Bike Month, an opinion piece was penned. Ideal Image Consulting edited the article to an appropriate length and helped get it placed above the fold in the Trenton Times, on May 16. Over the summer, Ideal Image Consulting completely re-designed the organization’s content management system and website interface. 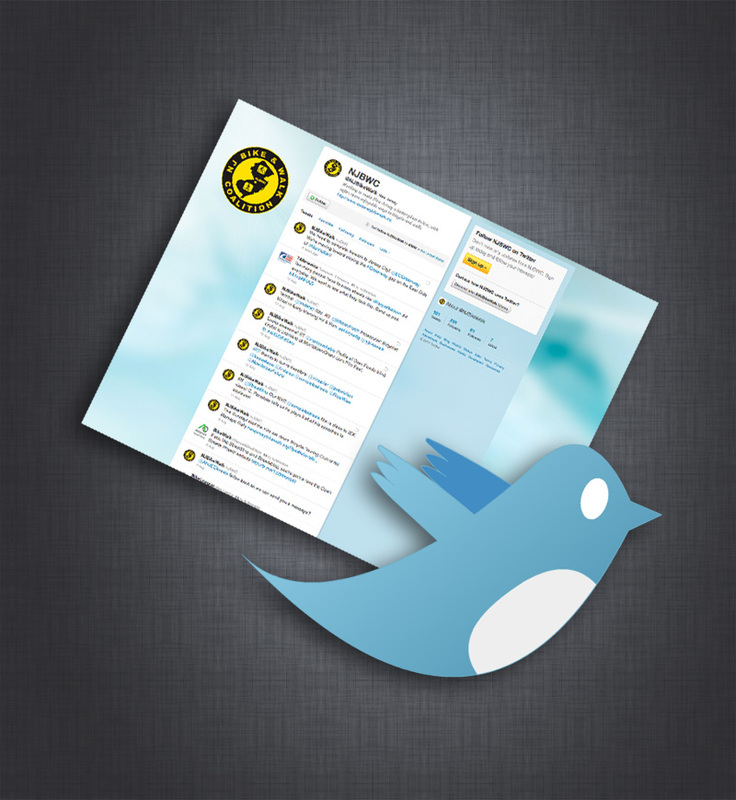 The new site enabled RSS feeds, calendar functionality and social media integration. During this time, Ideal Image Consulting also created the organization’s Twitter account, growing their presence online, and maintaining regular account activity. For four months, Ideal Image Consulting managed the newsletter content and distribution process. A graphic banner was conceptualized and created; increasing the newsletter open-rate beyond 25% and keeping the click-through-rate well above 20%. During the seven-months of this consultancy, additional materials delivered included: the organization’s first formal budget, a transportation media contact list, a state legislative leadership list, a board prospect list and recruitment materials. Meetings were arranged for board recruitment and legislative relationship cultivation. Grants were written and submitted to two foundations, and one letter of inquiry was submitted.